In our 41st year of ministry, we are initiating a program called “3:15 Response.” It is a plan for obedience to the teaching of the apostle Peter: “…Always be prepared to give an answer to everyone who asks you to give the reason for the hope that you have” (1 Peter 3:15 NIV). This is totally appropriate for today’s confused culture! 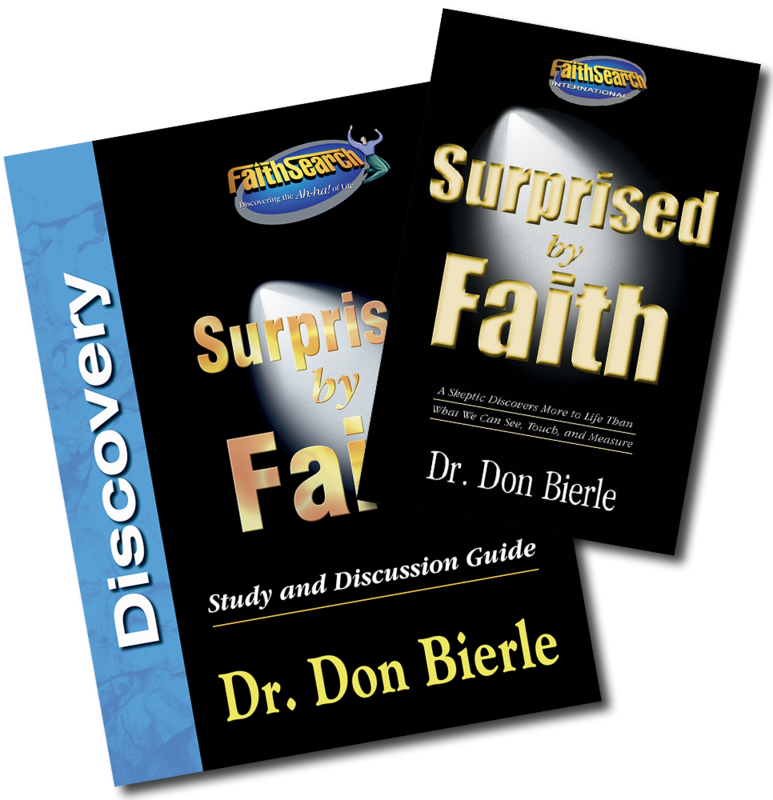 The Gospel with evidence which we present and publish will help you prepare and give a reasonable defense of your faith to family, friends, and work associates. In order to encourage your positive response to this challenge from Scripture, we are offering an incredible discount on our excellent apologetic Gospel publications throughout the month of April. Resources may be purchased as individual products, but are now available as curriculum sets as well. 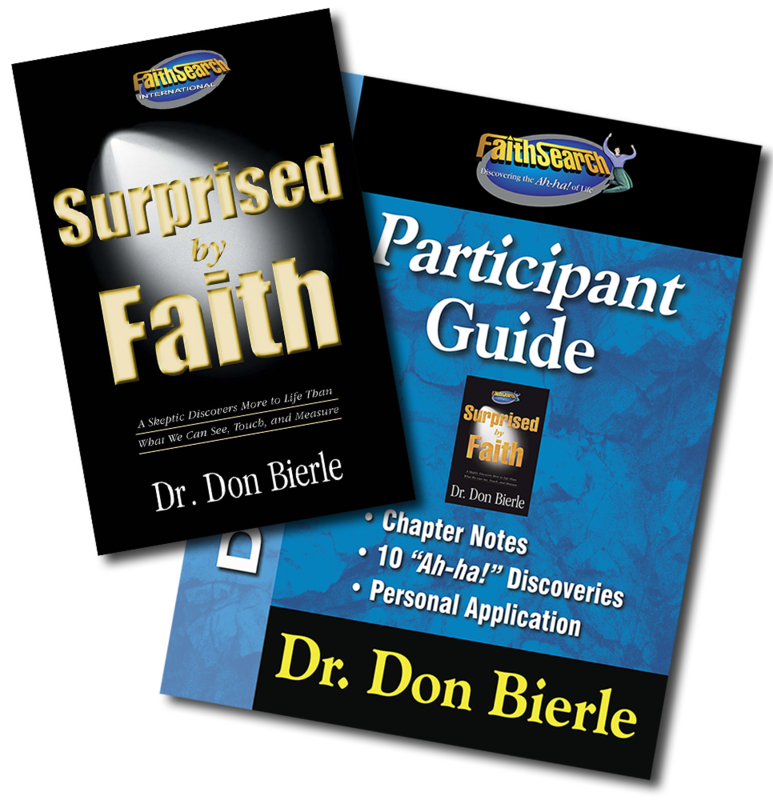 Use them for personal growth, home schooling, a church class, or a small-group Bible study. Check out the details below. 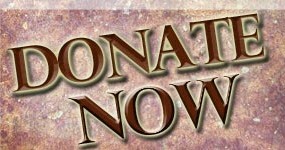 All prices are plus shipping and handling. Money back guarantee. 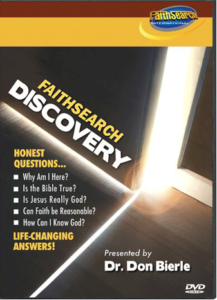 FaithSearch Discovery has been our flagship for four decades. 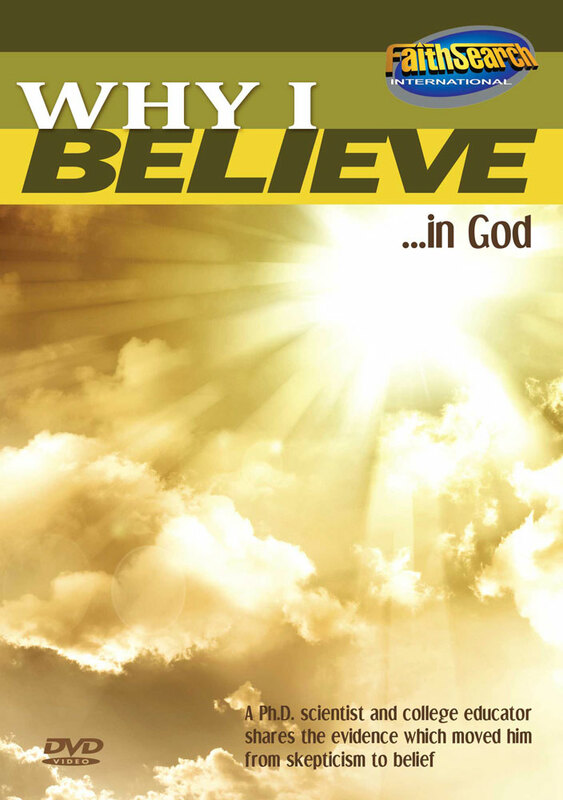 Great for believers and unbelievers alike. 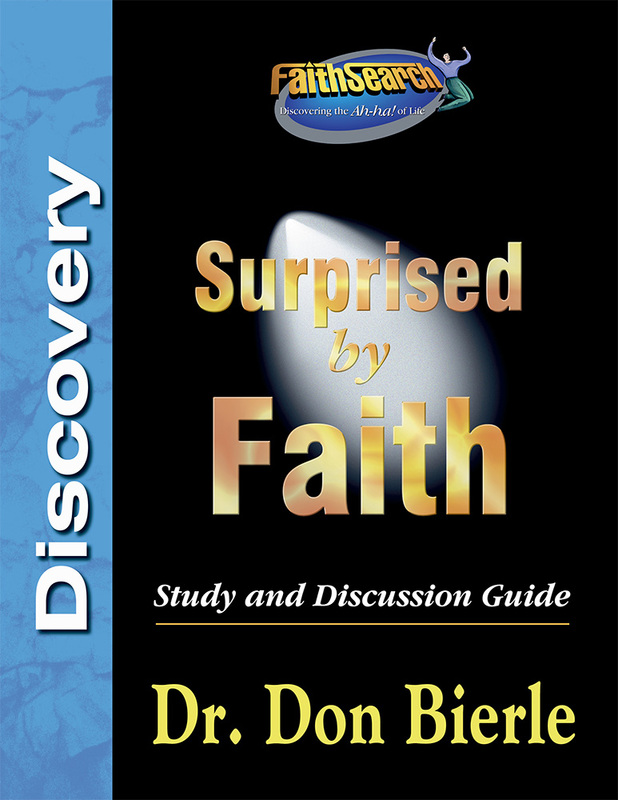 Recorded live as presented by Dr. Don Bierle,* president of FaithSearch International. 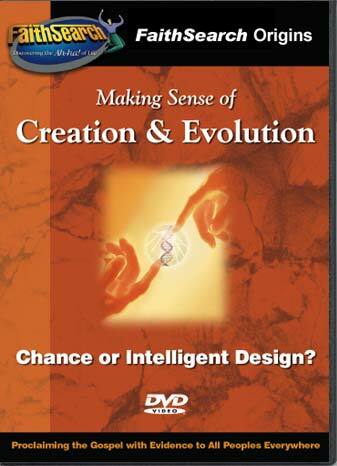 This presentation articulates the evidence for God, the New Testament, Jesus’ deity, biblical faith, and new life. 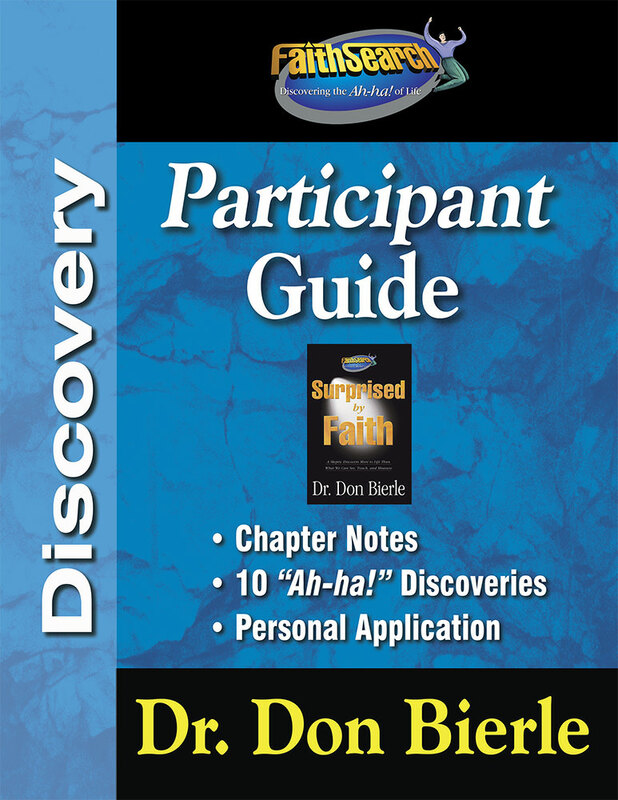 32-page FaithSearch Discovery Participant Guide – Notes sheets for the presentation, Application principles, Ten “Ah-ha!” Discoveries. 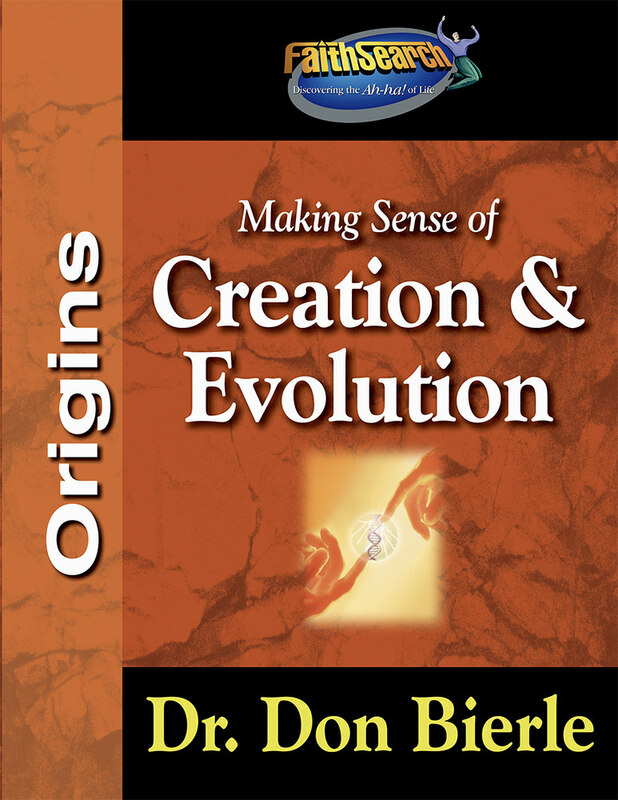 Making Sense of Creation & Evolution articulates the evidence for creation, the origin of life, fossils, Intelligent Design, irreducible complexity, diverse creation views, a global flood, and a biblical creation worldview. 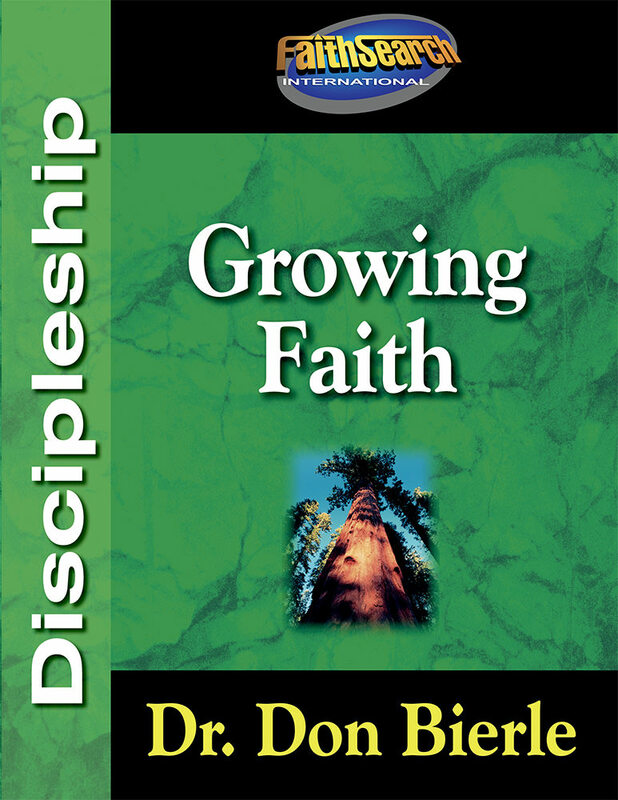 Growing Faith – A biblical foundation for abundant living: new birth; reliability of the Bible; spiritual warfare; Holy Spirit; prayer life; Body life. 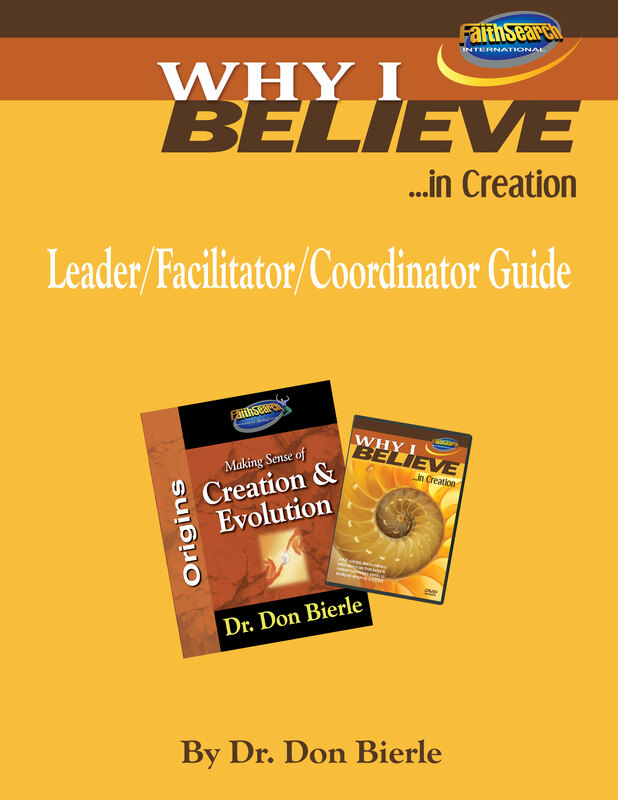 Why I Believe in God (DVD 70 minutes; integrated PowerPoint® slides), presented by Dr. Don Bierle – A persuasive and timely presentation of three arguments for the existence of God: from nature, from history, and from the transformed lives of believers. 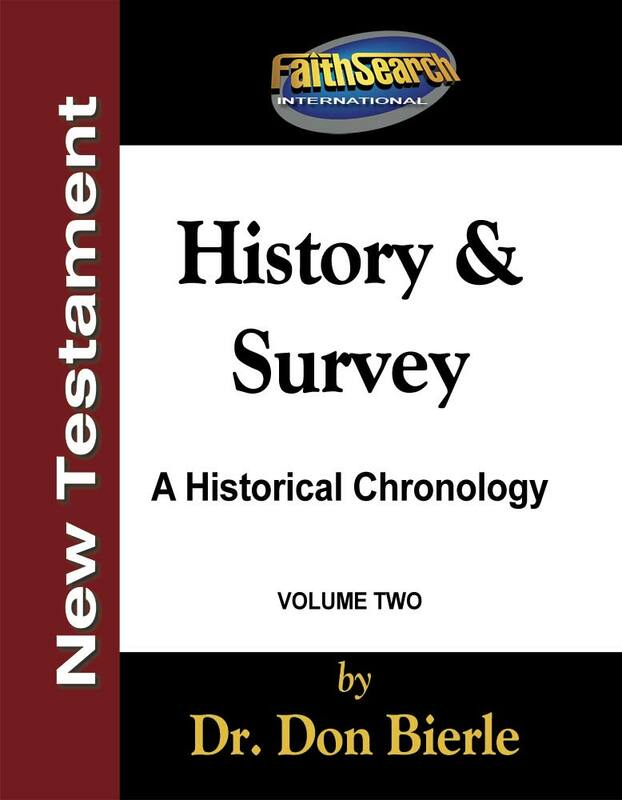 New Testament History & Survey. 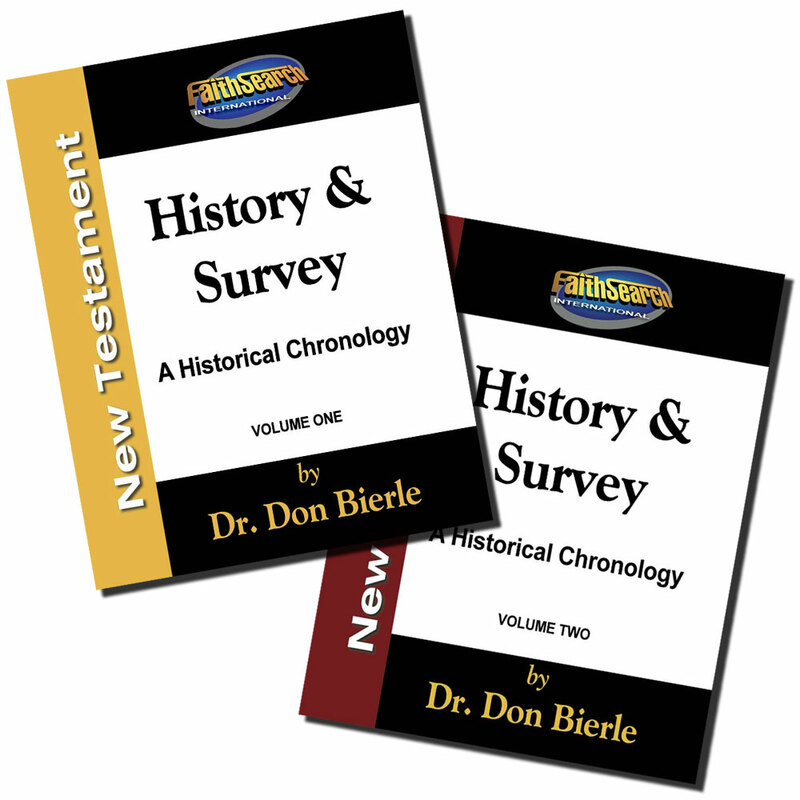 Author: Dr. Bierle — An eye-opening understanding of the life and ministry of Jesus and the first-century church via a study of the twenty-seven New Testament books in historical chronology and context. Book outlines, themes, key passages, true/false, matching, and multiple choice questions at the end of each chapter for review; guided projects in every chapter for research; chronological charts, and maps. Three-ring binder. A helpful resource for this material is A Harmony of the Four Gospels: The New International Version Paperback by Orville E. Daniel. 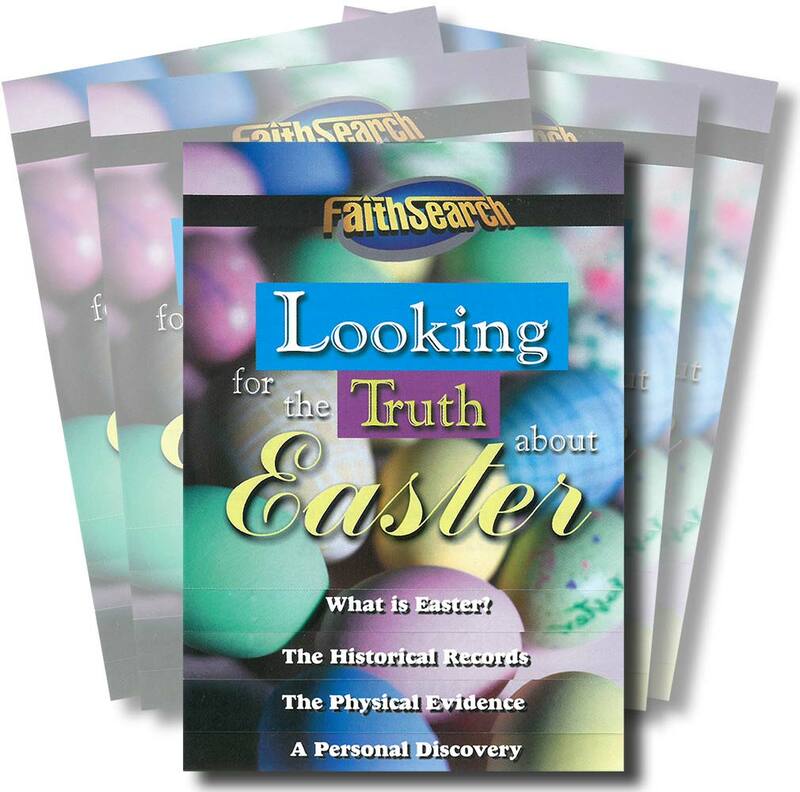 This resource is available from other online sources, such as Amazon. 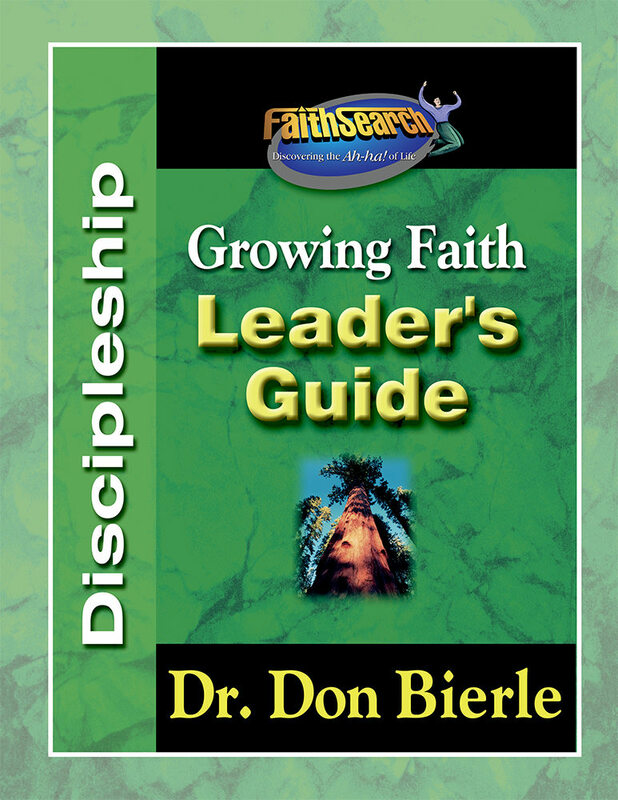 *Dr. Bierle, President of FaithSearch International, holds M.A. and Ph.D. degrees in biology, and an M.A. degree in New Testament studies. 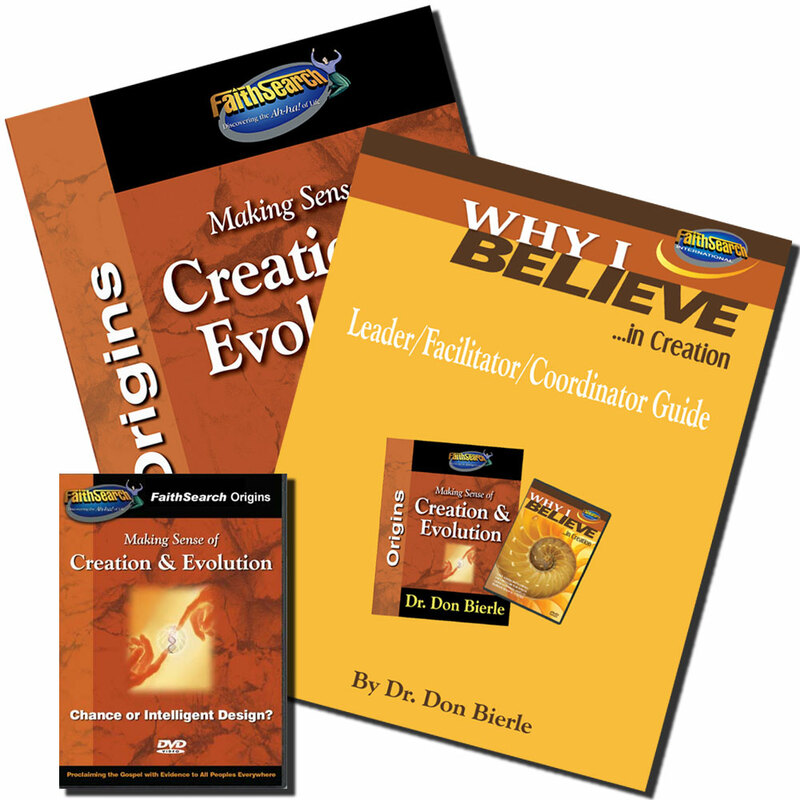 As a Bible college instructor, Don knows how to stimulate motivation and spiritual growth for believers. 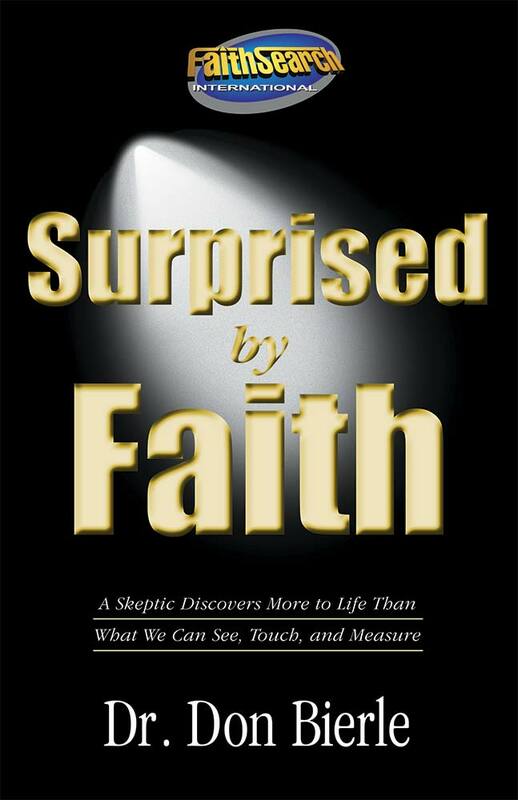 As a former skeptic, he knows what it takes to make sense of the Christian faith to unbelievers.